A cabinet is now possible to buy from frambuildersupply.com, any chance the motor and cabinet could be introduced as a model element in BikeCad? Thanks for bringing this to my attention. 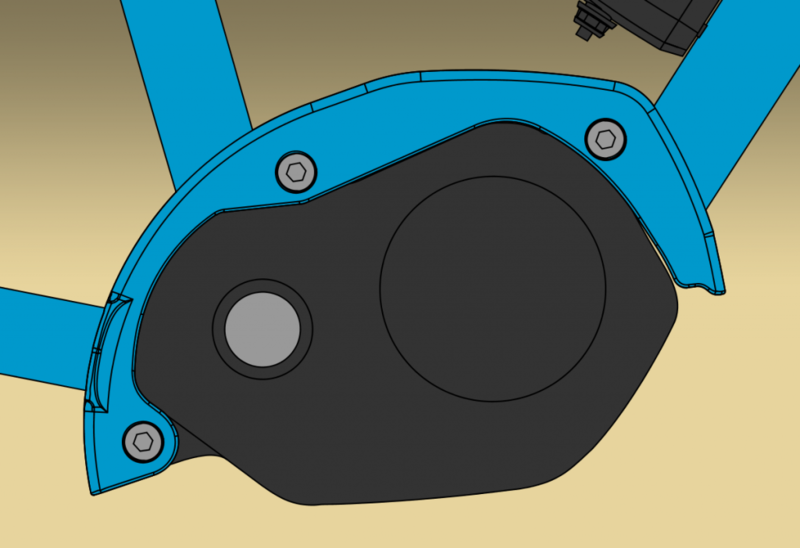 I've just e-mailed Framebuildersupply.com to request a drawing for this part. Bafang also offers a motor cabinet for their M400 for sale for hobby builders. Google let me find this cabinet only in a dutch webshop. Thanks to Framebuildersupply.com for getting me the CAD data for their Shimano E8000 series STEPS system motor cabinet. This cabinet will be available in BikeCAD version 14. Since we're talking about ebikes. Could you allow batteries to be mocked up on the ST as well as the DT? When the e6000 series motor was first added, I included the option to position the battery on the down tube as well as a different style of battery that was meant to be rack mounted. Although I now have the e8000 series motor ready for BikeCAD version 14, I don't actually have a model of the new battery, so for now I'll just have the e6000 series rack and downtube batteries paired with the e8000 motor. The Bosch motor available in version 14 will also feature a downtube mounted battery. I had not considered the possibility that one might want to mount it on the seat tube. If others are also interested in this, I'd be curious to know. I hadn't considered it either until it was requested by a client. The BMC Alpenchallenge (https://amp.bmc-switzerland.com/e-bikes/lifestyle/alpenchallenge-amp-cit...) has this -- I'd be that's where the request comes from. I've just set things up so both the Bosch and Shimano batteries can be mounted on the seat tube. 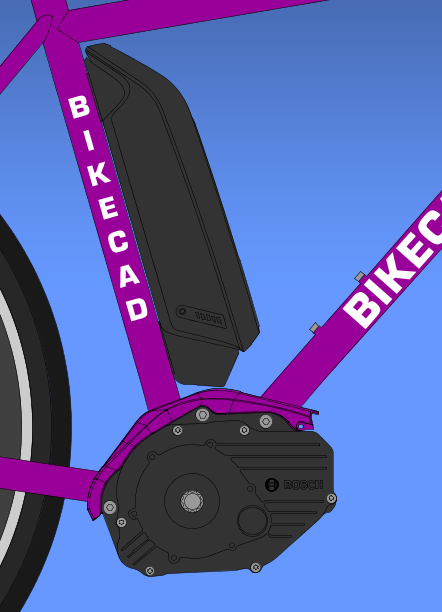 Here's a screen capture from the next update of BikeCAD.